Deli-cious Oils & Vinegars was founded in 2006 by three self-confessed ‘foodies’. Our mission was to provide true culinary inspiration to feed the imagination of our customers. We developed a uniquely independent retailing concept for selling our flavoured Oils, Vinegars and Liqueurs, straight from the tap into refillable and recyclable glass bottles. Since 2006, Deli-cious has firmly established our good name and reputation amongst many UK fine food retailers, as the nation’s favourite independent producer and supplier of Oils & Vinegars. 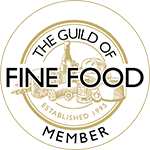 Winner of numerous Great Taste Awards for our innovative products, we have also featured in the Guild of Fine Foods “Best of Brands” award lineup consistently for several years running. Our products appeal to delicatessens, farm shops, food halls, farmer’s markets, restaurants, online businesses and more. We only work with a hand-picked selection of family run, artisan producers when both sourcing and creating our own products. This means committing to the use of 100% natural ingredients and producing in small batches to guarantee optimum freshness, flavour and shelf-life. Delicious strives to work closely with all our OnTap retailers and our U.K. distributor, Rowcliffe, to build solid working relationships and offer the very best in both service and support. Our UK distributor, Rowcliffe, provides their customers with dedicated regional sales representatives who are available for setting up our OnTap System and providing ongoing sales advice and training. Helpful and informative merchandising material is an essential component to the success of the OnTap Retail Concept, and always available. Delicious provides Private Label opportunities and New Product Development services. Our own production facilities and producer-partner relationships can supply an extensive list of services to help you achieve your needs.